Your wedding day may pass too quickly, but photos of the event will help you remember every detail of the day for years to come. Hence, the relevance of a wedding photographer cannot be overlooked. In the hands of a professional, your wedding memories are safe, and captured as you wish to remember them. There are various styles of photography available today, and not all styles may appeal to you equally. Find one that suits your taste, and ensure your wedding pictures will recreate the magic of your wedding day, every time you look at them. Once you choose the style of photography – traditional, photojournalistic, the mix of both or artistic, it is time to find the photographer to handle the task. Here is a checklist of things that will help ensure that you find the right photographer and freeze your wedding memories perfectly. As with all other vendors, different photographers have different rates. Before you start your search, you should know how much you can afford to spend. There are great photographers who can do your job beautifully, without your having to spend a fortune on it. Start early, and you will have time to find the right candidate for the job. Don’t be taken in by smart advertising and pictures that are available on the photographer’s website. Check with clients who have actually used the photographer, and ask them for their opinions on the service provided. 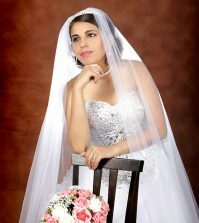 If you are satisfied with what you hear, book an appointment with the photographer. Photographers will usually have a set portfolio, which they share with their clients. While this allows you to get a fair idea of the quality of work, you should also remember that these are usually the best ones they’ve taken. So, ask for more pictures than what is in their portfolio. Or, ask them if you could have a look at a previous client’s album. You can get a better idea of their style and ability by looking at more pictures. Ask what all pictures your package will include. Discuss the available options, take time to create your own list of must-have photos, which will include the list of group shots you want and share it with the photographer. Most good photographers will be ready to accommodate their client’s requests, but make sure you check this is, before signing your contract. Share the timetable of your wedding day, and tell your photographer where he should be at a specific time, so he doesn’t miss any of the special moments on your big day. Make sure that you include every single detail in your written contract. There should be clauses regarding how emergency situations will be handled, when and how the photographer’s fee will be paid, when you will receive your prints and the total price including all overhead costs. If you make any further changes to plan, add it to the contract and have your photographer countersign it. This will help you get the service you signed up for, without any hassles. For more wedding tips and advice, and for all your wedding needs, visit us at Best For Bride. I went through this last month. I agree with all of the things listed here. They are very important to nail down and get right. It is the most important day of your life! Ask as many questions as you can. Get everything, EVERYTHING in writing and once that deposit is made, you are locked in. Our photographer was my cousin. He was so easy to work with and was very helpful with things that we didn’t even consider. Great times! Our photographer was very helpful as well. He let us know about EVERYTHING that he is doing and what we are paying for all along the way. Good tips here! 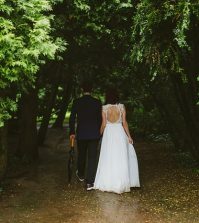 With the internet, it is a lot easier to really seek out a photographer that has your taste and BUDGET in mind without having to contact them to find that out later. Book early. I learned that lesson the hard way and even though things turned out OK, I think we dodged a bullet that could have made things worse if we waited just a little longer.